Overview: This qualification provides the skills and knowledge for an individual to be competent in a broad range of event management skills, including significant communication, planning and organizational skills. 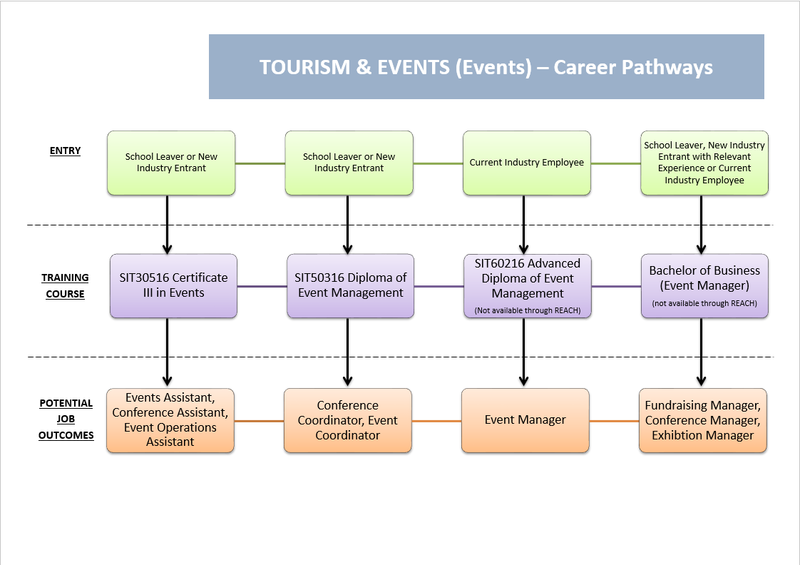 This is underpinned by a detailed knowledge of the event management process. Event organization and management takes place across the full spectrum of business and community activity. The qualification has particular relevance in community, cultural, hospitality, sporting and tourism sectors. Work would be undertaken in both an office environment where event planning and organization takes place, and at an event site. This qualification reflects the role of individuals who possess a sound theoretical knowledge base and use a range of specialized, technical or managerial competencies to plan, carry out and evaluate the work of self or team. Work Placement: 180 hours minimum work placement within an Event and Entertainment industry is compulsory for this qualification. Work Placement Insurance will be provided by REACH for Training. This qualification may be delivered as a traineeship program.